Australian Engineered and Designed High Quality VF Tail Lights. 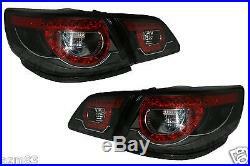 Holden Commodore VF New Design New Style LED TAIL LIGHTS. LED Tail Lights Boot Garnish. Exclusively for DRL Trading and their distributors. 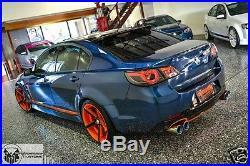 They fit the Following VF Sedan Models. Note, they do not fit HSV Models. Item in brand new condition. Attaches to factory mounting points. May need Help for Installation. Fit: All Commodores VF SERIES 2013-up 4 door sedan. Package Included : One left and one right tail lights and Boot Garnishes. 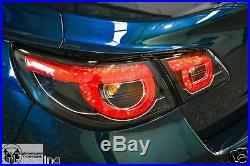 Reverse and indicator bulbs are included, you would need nothing to use from original set. We worked out with our courier. These lights are prepacked in a large box. Size: 30cm x 35cm x75cm. You are welcome to arrange your own courier. We will issue a replacement part at no cost to the purchaser. The item "VF New Replacement Aftermarket LED Tail Lights for Holden VF Commodore Models VF" is in sale since Monday, February 23, 2015. 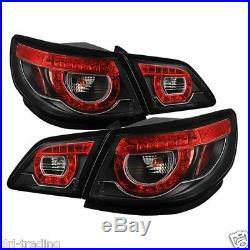 This item is in the category "Vehicle Parts & Accessories\Car, Truck Parts\Lights, Indicators\Tail Lights". 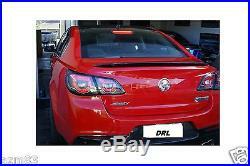 The seller is "drl-trading" and is located in Belmore , New South Wales. This item can be shipped to Australia, United States, Canada, New Zealand.